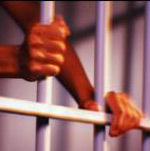 29 April 2011: According to the 2010 US Census, two million of the 2.3 million prisoners in America’s federal, state, and local jails come from urban cities and counties. Wayne County (Detroit), Michigan, for example, has less than 20 per cent of the state’s population, but accounts for 40 per cent of the inmates in the state’s prison system. 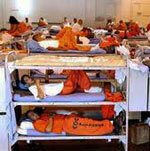 Harris County (Houston), Texas has 25,000 residents in state prison; Dallas, 20,000. To help balance their budgets during the ongoing recession, state governments in the US are closing prisons, reducing the number of prison beds, releasing prisoners, and cutting prisoner rehabilitation services. Since ex-prisoners usually return to their hometowns upon release from jail, the full impact of state justice budget cuts on cities is unclear. States are choosing to reduce spending on prisons and prisoners to limits cuts to other services, such as public education, care of the disabled, daycare subsidies, and economic development. California, for example, intends to reduce its state prison population by 40,000, or about 25 per cent, over the next three years. The new state budget also reduces funding for programs targeted to helping ex-prisoners re-enter society, including job training, drug counseling, restorative justice, and mental health services. Florida, Kansas, and several other states also are reducing or eliminating programs that help prisoners deal with their release. The recently-adopted New York state budget eliminates 3,700 prison beds by closing up to six state prisons. The budget also reduces funds to help communities affected by the closures. New York City Mayor Michael Bloomberg called the state budget “outrageous”. Bloomberg told a conference on prisoner re-entry organized by the US Conference of Mayors that without proper support ex-offenders will fall back into their old ways. “When a former prisoner gets off the bus,” said Bloomberg, “within a few hours he’ll start experiencing that most basic human need  hunger  and he’ll have no way to pay for his food... sadly, too many of them will return to jail.” Several studies predict a sharp rise in US incarceration rates over the next few years as ex-offenders wind up back in prison. 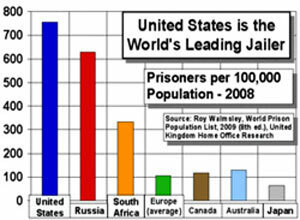 American cities wouldn’t be facing a quandary about returning prisoners if the United States didn’t have the largest per capita prison population in the world. A recent book by Michelle Alexander, The New Jim Crow: Mass Incarceration in the Age of Colorblindness, describes in meticulous detail how the United States adopted a policy of mass incarceration, which disproportionately affects urban residents. America’s “War on Drugs”, begun modestly by President Nixon in 1971 and vastly expanded by President Reagan in 1982, funneled federal funds for weapons, personnel, and training to state and local police agencies to apprehend illegal drug users and dealers. “Although the majority of illegal drug users are white,” notes Alexander, “three-fourths of all people imprisoned for drug offenses have been black or Latino.” While most drug users may be whites in the suburbs, the consequences that attract police attention  violence, gangs, drug houses, open air drug markets  take place in city neighborhoods where drugs are sold and where most poor minorities live. Moreover, suburban drug users may have private health insurance to pay for immediate treatment; poor addicts in the city frequently must wait a long time for government-subsidized medical help, committing crimes to support their drug habits in the meantime. 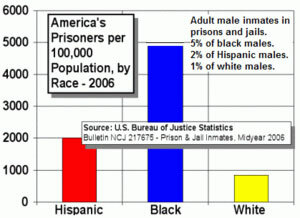 Federal and state laws passed over the past 30 years require stiffer punishments for illegal drugs preferred by blacks such as crack cocaine, make it virtually impossible to use the courts to claim racial bias in the criminal justice system, and make it extremely difficult for convicted drug users to obtain a job, public housing, welfare benefits, college tuition assistance, or even vote. In recent years, the War of Drugs has been combined with zero-tolerance policing strategies in many cities to justify the removal from public schools of tens of thousands of poor, minority youth caught with illegal drugs, effectively putting them on a path to prison. According to Alexander, the cumulative impact of these laws and policies on African-Americans is comparable to that of the notorious Jim Crow legislation, which was enacted between 1876 and 1965. Jim Crow sanctioned racial segregation and denied African-Americans their dignity as citizens. With few exceptions, America’s urban mayors have reacted to state budget cuts with restraint. Cities are confronting cumulative budget shortfalls of $50 to 80 billion this year and next, according to the National League of Cities, and are eliminating police officers and other criminal justice services. Mayors, therefore, express an understanding of the belt-tightening at the state level. Also, it’s probably unwise politically for mayors to call attention to state and local cuts to justice budgets and risk a public debate over the ability of cities and states to maintain public safety. American cities function as places of last resort for the poor, mentally ill, troubled youth, and returning prisoners. The state and local budget cuts will certainly change the American criminal justice system. It will likely be up to city mayors to devise innovative ways of driving the change in a positive direction. An African-America boy born in the US in 2001 has a 1 in 3 chance of going to prison in his lifetime. A Latino boy has a 1 in 6 chance. These statistics are from a report America’s Cradle to Prison Pipeline by the Children’s Defense Fund, a nonprofit organization that encourages preventive investment in youth and families before problems occur. The report blames America’s disproportionate investment in punishment rather than prevention for trapping many children in a trajectory that leads to marginalized lives and imprisonment.